Hong Kong Artificial Intelligence and Data Lab (HKAI Labs) officially operates the first batch of 7 start-ups. established by Alibaba Group and SenseTime, the world’s most valuable AI startup, and Hong Kong Science and Technology Parks Corporation in May this year. Participants will get up to US$100,000 in funding from the Alibaba Entrepreneurs Fund as well as research and resources from SenseTime. The 7 selected startups are Arical, Cloudbreakr, Farseer, Raspect, Social face, Dayta and Squared-S. Dayta is of the winners of WHub’s Moet Hennessy Challenge in September and Raspect one of the four winner of HK Vizag Challenge, and will be moving on to competing in the final round in India. Goldman Sachs-backed co-working provider Atlas on Friday announced that it has completed a new round of financing which values the Guangzhou-based firm at HK$6.8 billion (US$871 million) following completion of the investment. Like the elder Chen’s Hong Kong-listed property firm, and Li Sze Lim’s R&F, the latest investors in Atlas, Star River Group and Times China Group, are both Guangdong-based real estate developers. Atlas, which has opened 11 locations in major cities in mainland China as well as Hong Kong since being founded 16 months ago, said the Series A-2 financing round will provide it with the resources necessary to establish a footprint surpassing five million square feet (464,515 square metres) of gross floor area by the end of the first half of next year. Ztore.com, one of Hong Kong’s largest online shopping platforms, announced that it has raised US$ 8 million (over HK$ 62 million) in Series B funding, led by Welight Capital followed by Kwai Hung Group. Since 2015, Ztore.com has raised over US$ 20 million (over HK$ 150 million) of funding. With the successful Series B financing, Ztore will be able to advance the operating systems, develop new technologies to enhance the shopping platform, and launch new services. Ztore will soon launch a revamped website with a new algorithm that helps predict customer preferences to recommend the best products to buy. Ztore helps SMEs and ‘micro-enterprises’ create an online presence and reach a wider audience. In the third year of operation, Ztore has launched Neigbuy - a new community collective buying business model serving aim to serve more people in Hong Kong. WeWork launched a new location at Two Harbour Square in the rapidly emerging Kowloon East in the Kwun Tong district. 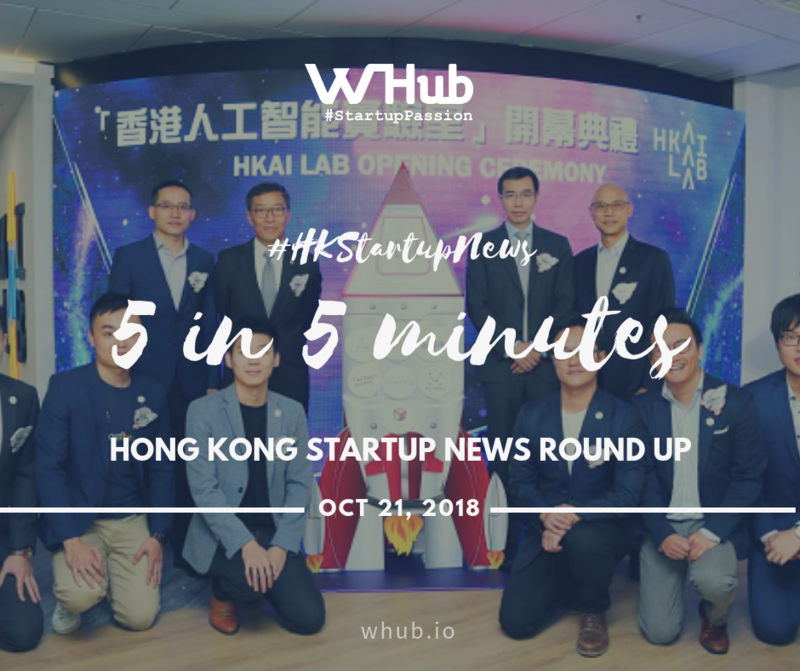 It is the company’s first location in Kowloon and is envisioned to connect more Hong Kong-based entrepreneurs to the Greater Bay Area. “The recent opening of Hong Kong Section of the Guangzhou-Shenzhen-Hong Kong Express Rail Link (XRL) and the upcoming operation of the Hong Kong-Zhuhai-Macao Bridge will tie Hong Kong, Guangzhou and Shenzhen together and will enhance the free flow of goods, capital, information and talent,” said Alan Ai, general manager, WeWork Greater China. “As we continue to support these companies to connect and partner with other global creators, we look forward to partnering closely with different partners to unlock the unique potential of Hong Kong and create synergies with other cities to drive economic development of the Greater Bay Area,” Ai said. In a round led by PFR Ventures and Group One, Arkley Brinc VC has raised a $15 Million USD fund to invest into early-stage technology startups building IoT and hardware businesses. With Arkley’s well-established position as a seed investor in Europe and HK IoT Accelerator Brinc’s access to China and manufacturing expertise, portfolio teams will be able to tap into a global support network to bring their innovations from concept to commercialization. Akley Brinc VC will invest up to $800,000 USD per team, helping to propel startups from prototype to IPO. Living up to the term ‘smart money’, the fund will advise founders on everything from go-to-market approach, to raising follow-on funding, to exit strategies.